The roller on our dynamometer is rounded to within 0.00001 of an inch. This degree of precision, paired with our Timken bearing system, eliminates the false torque and speed spikes that can plague other dynos. Our dyno consistently produces valid replicable results, so our expert technicians can tune with pinpoint accuracy. *While dyno tuning improves fuel efficiency, many other factors such as tire pressure, driver behaviour, load-weight, etc, have an impact on fuel consumption. The power parameters of new stock vehicles are set for generic driving conditions, decent fuel economy, adequate acceleration, and to meet specific marketing targets. They are rarely optimized for the performance they’re capable of, or for any specific application, or for your unique driving patterns. At International Dyno Authority we custom tune to your specific needs. Whether it’s highway driving, or city driving, or towing a trailer, or more punch and horsepower, our experienced professionals will tune your car, truck, ATV, or bike until it is running at peak performance. This is one of the most commonly asked and debated questions on forums. Given all the debate on this topic, we cannot give you a definite “yes” or “no” answer. However, we can tell you this, from our own experience. Over half of the chassis dyno tunings that we do are on late-model vehicles that are still under warranty. We have NEVER had a customer come back and tell us they had a warranty issue. 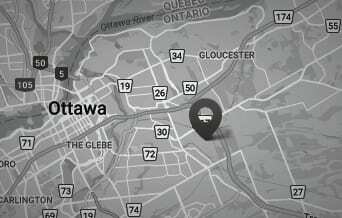 Several Ottawa area dealers have even sent new car owners to us for tuning when they could not meet the customer’s expectations. We do ALL of our chassis dyno tuning within OEM specs. This helps reduce the risk of any potential warranty issues and it also reduces the risk that you will run into any engine problems as a result of tuning. We’ve had numerous vehicles on our chassis dyno, which had aftermarket tunes installed that were well outside of factory specs. On more than one occasion, we’ve seen these improper tunes cause cracked manifolds, leaking valve cover gaskets, scored cylinder walls, and detonation. Staying within OEM specs does not result in underperformance. There is no need to exceed their specification range. Manufacturers tune new vehicles for generic driving conditions and leave plenty of power on the table for us to find. Just like with ECU tuning, tuning a carbureted vehicle improves responsiveness, power, and fuel efficiency. Tuning is done in much the same manner; however, instead of using a computer to change the parameters, engine components are adjusted and fine-tuned by hand using timing lights, carb gauges, and jetting kits. If you’ve installed a new air intake system or invested in a high-end carburettor like a Holley or Edelbrock, you won’t tap into their full potential until you have the engine’s AFR and timing adjusted. Make your performance investment pay off by dyno testing and tuning your engine to ensure proper aspiration for the best possible torque and horsepower. Break-in is the most critical time in a rebuilt engine’s life. Performing the initial shakedown of your rebuild on the dyno is a great way to ensure future performance and engine life. Because we calibrate the engine load, you can be assured that all the rings will be tightly seated and that your cam lobes will be properly broken-in. And, after doing the break-in, we can proceed directly to tuning for power! *ECU tuning costs vary from model to model. Call for pricing and to book an appointment. Our chassis dynamometer was custom-built with the best components available. It's designed to consistently produce valid and reliable results so our expert technicians can custom tune your vehicle with pinpoint accuracy. Restoring or building an engine for your project can cost thousands of dollars. Dyno testing and tuning your engine before installation ensures that it will run and perform to perfection the first time you turn the key! We offer our own dyno built tunes on Aliengate or SCT programmers. We can provide a tune for your specific need, whether for towing, racing, improved mileage or for your daily driver. Easy to order and install (free shipping). Fleet vehicles tend to operate within defined geographical limits. When an engine is properly tuned to the road conditions and driving style you'll have fewer repair costs and realize a minimum 10% improvement in fuel efficiency! I've been there for tuning. Marc is the man. I recommand it to anyone who need a tuning. Really good shop, high end setup. This is our first time using Marc and the whole process has been a pleasure! Marc is great to deal with, very professional and knowledgable. had a great time with everyone, thanks again.dyno was within 1-2whp on back to back runs, it's very well dialed in. What a great experience with the group. Marc was a fabulous host, explaining in details the functioning of the dynos. Great guy, it shows he is passionate about what he does. Thanks Marc. Absolutely top notch in every respect. These guys managed to get an additional 200 ftlbs and 175hp out of a naturally aspirated LS3. Can't think of anyone I will be using from now on. Thanks guys! One of the best Dyno I’ve been to so far thx alot!!! Had a great time. Top class team at the shop. Tuning was on point. Put down some serious numbers! Great place. Marc and Brent are great guys. Very knowledgeable. They got my 2V Mustang to 425RWHP so it was awesome. Amazing work! My husband is so happy, thank you so much! Mark and coworker were great to deal with. Got base numbers on the truck. Also at a very convient time for me! Which made it easy to set up a time and go! Recommend these guys! From our first conversation Mark was very polite and willing to help, he was able to book the appointment quickly and at a time convenient for me and provided excellent service, I couldn't be happier with my experience. Definitely will be back to Marks garage when I do more engine upgrades to my Roadking. Great people! Makes anyone feel welcome! Thanks!!! Always a pleasure to do business with Marc and watch a truly enthusiastic individual working in his field! Just called and was very nice to talk to. Cant wait till there open to try out my new tune.. Excellent service.. and very knowledgeable! Definitely a return customer here! Finally a real shop in Ottawa that specializes in horse power. Great guy who likes to do great things. If it has wheels and makes power Marc is there. Always has a smile on his face.